Tromsø is a lively city with a rich cultural life. It has a bustling, friendly nightlife and is full of interesting shops, museums, churches, cafés and restaurants with Arctic menus. This itinerary sees you go in hunt of the Northern Lights as well as the chance to snowmobile in Northern Norway. Situated at nearly 70° north, there are frequent sightings of the aurora borealis among the surrounding islands, fjords and mountains. 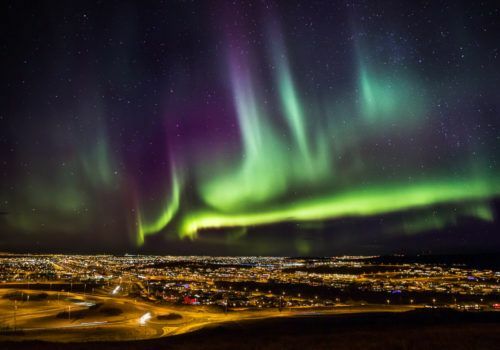 This Northern Lights adventure is sure to tick both the romance and adventure boxes. Fly into Tromsø where you’ll be met by your driver who will take you to your hotel. 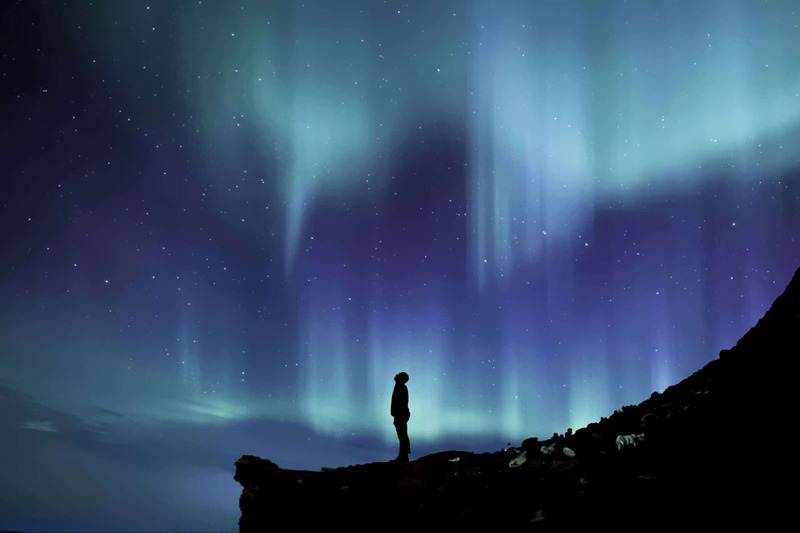 Head out and try to catch your first glimpse of the Northern Lights whilst exploring the local area. This evening, you’ll set off on a four-hour hunt for the Northern Lights at Tromsø Wilderness Center. Come and discover the Northern Lights along with 350 husky friends and puppies who you’ll meet. We invite you to the Aurora Camp, where you will have a great vantage point to the Aurora. You are welcome to take shelter around the fire in Wilderness Camp at any point if you would like to warm up a bit. The tour includes warm clothes, hot drinks, snack and transport from your hotel. We can, of course, arrange this as a private tour if you prefer. After breakfast at hotel, you’ll have a great day out on a once in a lifetime snowmobile safari lasting seven hours. The trail has a distance of approximately 15 km each way, 30 km in total. The starting point is at 250m above sea level, and your guide brings you up to 875m. You will be driving in pairs, one driver and one passenger on each snowmobile with an opportunity to switch places during the trip. At the end of the trip, a hot meal will be served in a lavvu. We can arrange a solo drive at a small additional charge.